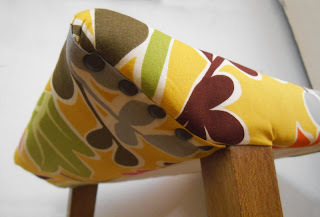 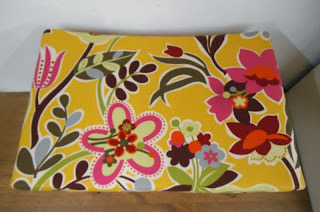 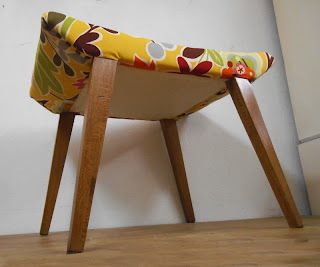 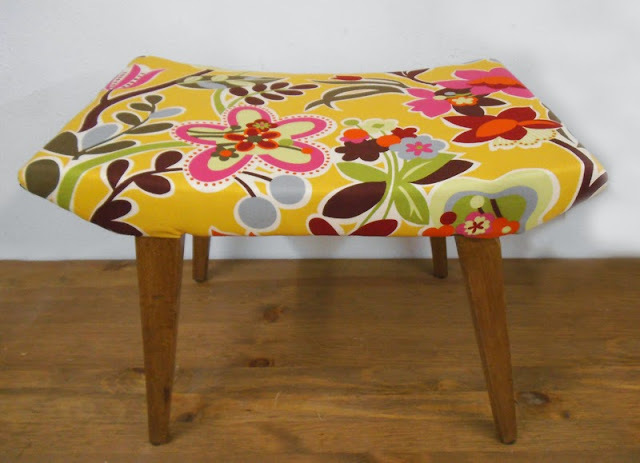 The customer commissioned a similar restored stool to the one I made back in February this year (you can see the post here); using the same groovy cotton fabric but in a different set of colours and a stool from the late 50s with tapered legs. 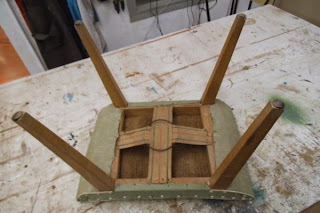 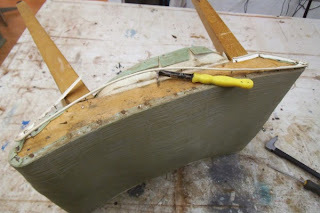 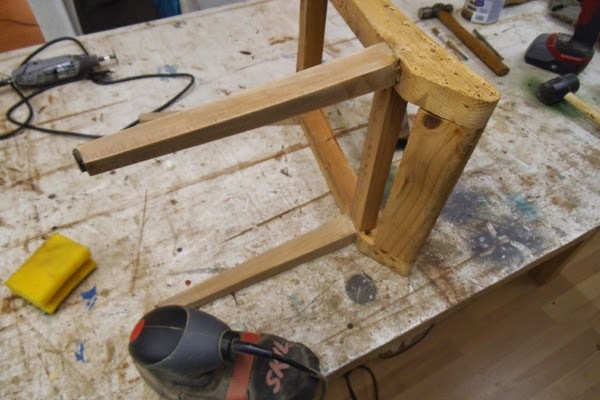 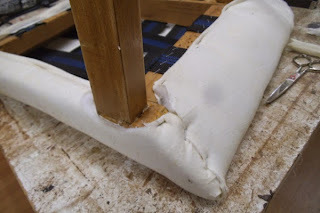 In this case the solid beech structure was in a better condition -I only had to strenghten one of the legs-, but the reupholstery process was a wee more complex, as the batting goes all around the seat. 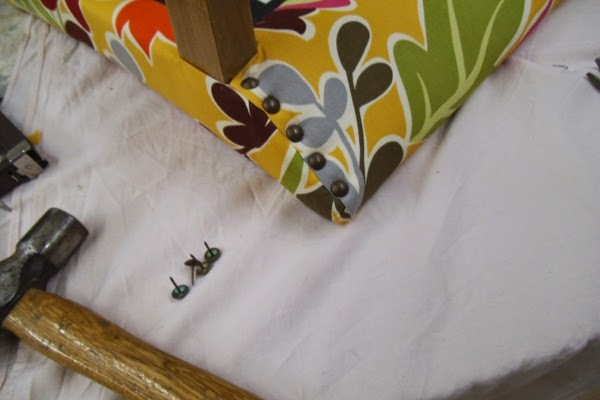 Check the 'Makig Of' section for a detailed description. 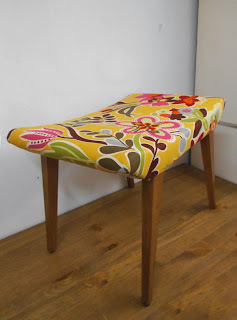 Measures: 50 x 32cm, 37cm high. 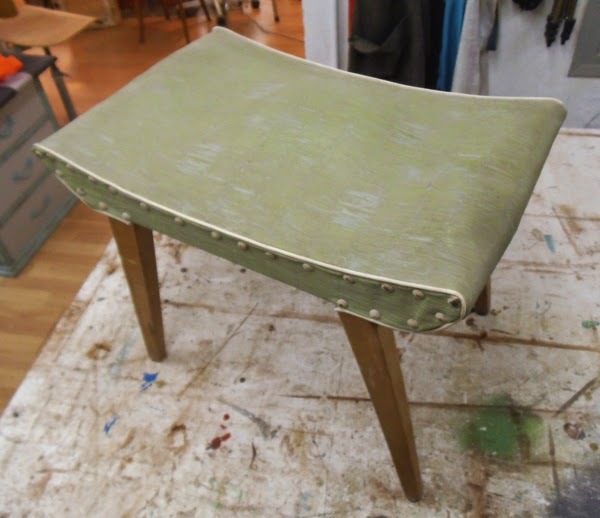 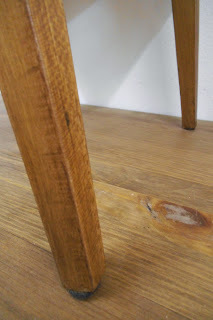 First, I took off the old upholstery -and sanded the legs, leaving them ready to be stained. 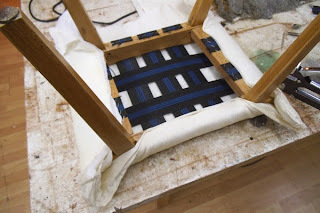 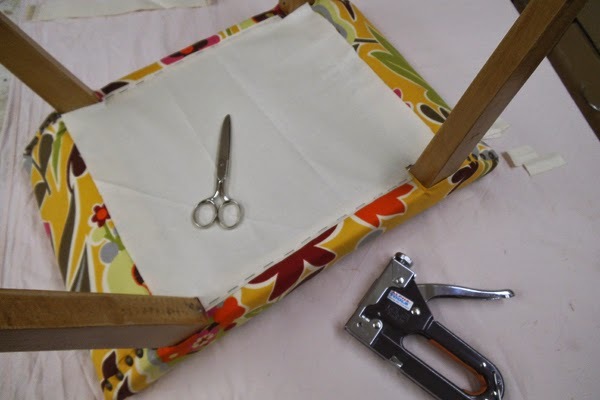 The final steps: placing the fabric, with some tacks in the corners -and stapling the dust cover.